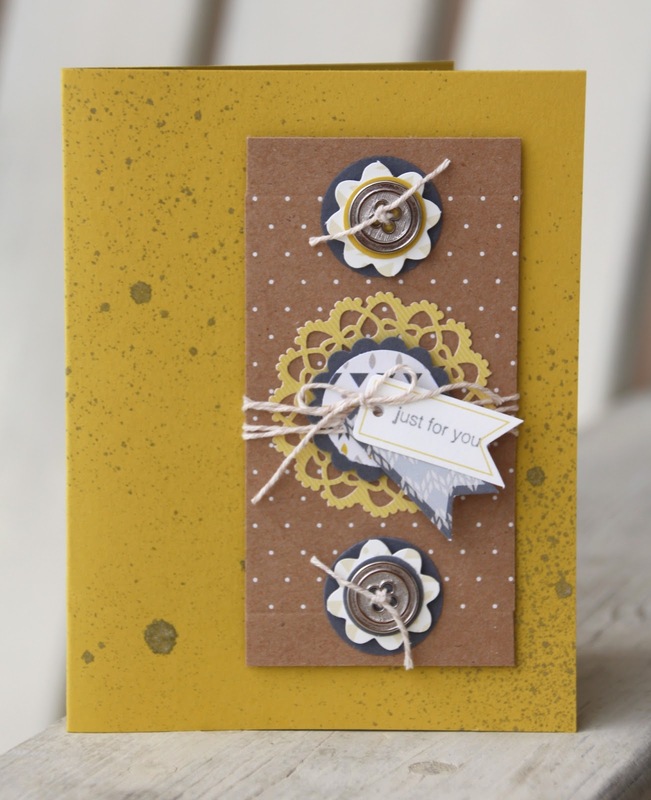 Thanks for joining us for this week's Artisan Design Team Blog Hop! 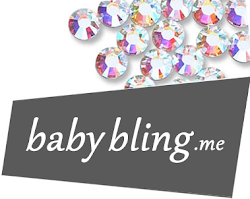 I hope you have arrived from Wendy's blog, if not, please go back and check out her great project! For this weeks projects I used the Boutique Boxes Designer Printed Kit. With the exception of 2 items (Silver Foil Smooch Spritz & Silver Basic Designer Buttons) I only used the items in the bundle on the 3 cards. 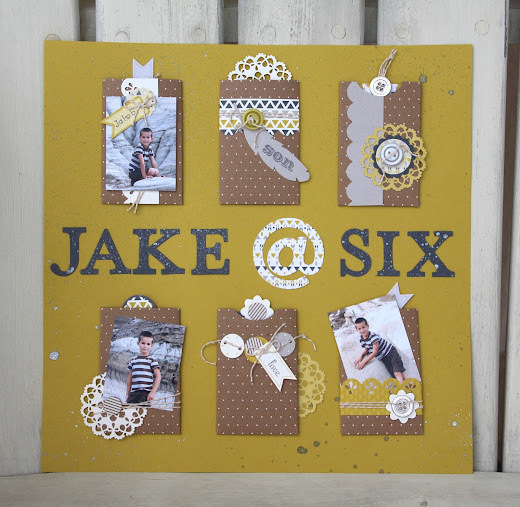 When I saw this kit, I knew that I wanted to do a scrapbook page with it. I turned the little boxes into envelopes that are open on the top. Each envelope is embellished with photos and different items from the kit. 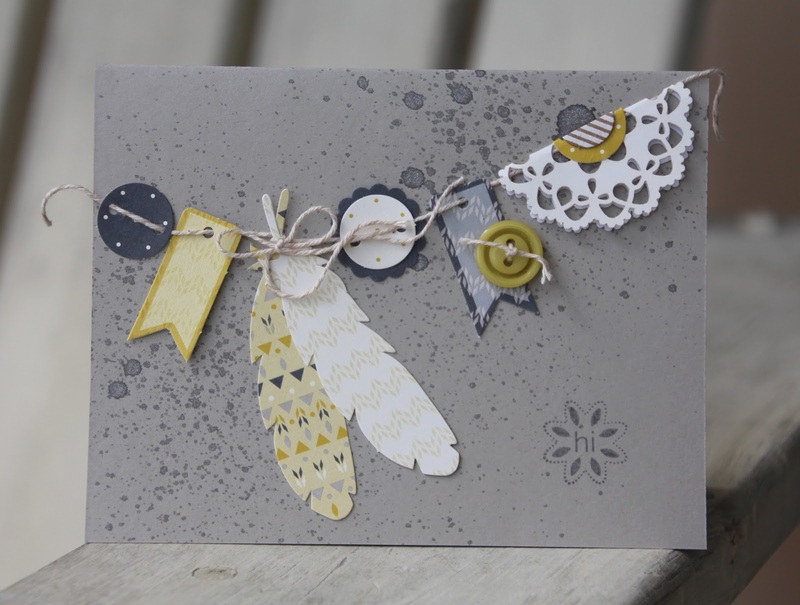 The background is sprayed with the Silver Foil Smooch spritz and so are the title letters. Each of the little pockets have a card in them that pulls out. 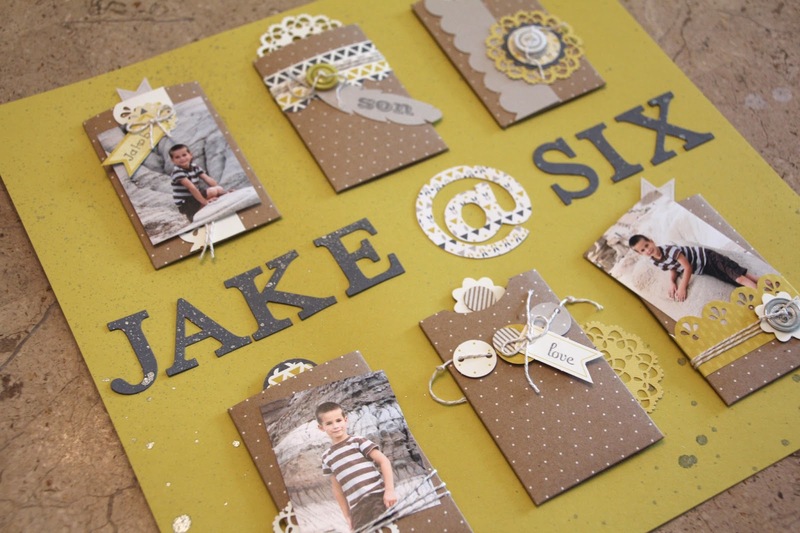 Each card has a little fact about Jakob at six years old. Thanks for joining us this week. Please continue on to Cindy's blog, her projects are always so cute! Oh AMY!!! WOW - what gorgeous projects! Thank you for showing these wonderful projects! Great "out of the box"-thinking. I SQUEALED with delight when I first saw your projects Amy. You knocked it out of the park with the Boutique Box set. Clean + Classic + Cool Design = love Love LOVE!!!! 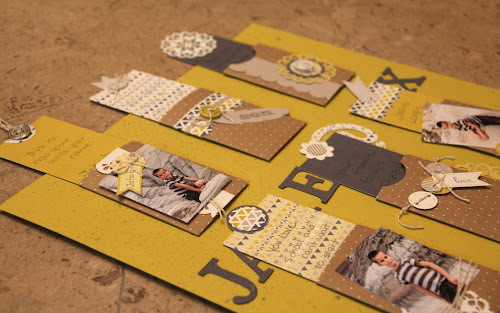 Wonderful projects and pages! 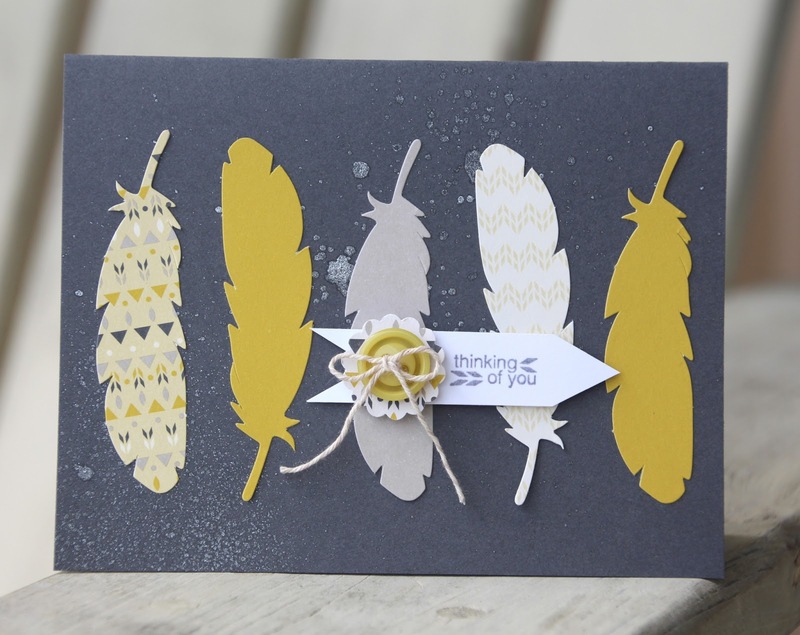 I love the feathers and the second card reminds me of planets! Great job! I love your projects! Thanks for showing!